But no, the truth of the matter is that I've just been really busy. First there was Thanksgiving, when I had to take a crash course on how to prepare a huge meal. Now, a lot of my friends are spending time with family lighting candles for Hanukkah. Next, of course, there's Christmas. And did I mention I'm really not at all prepared for Santa...I haven't even dug up my favorite gingerbread cookie recipe yet! 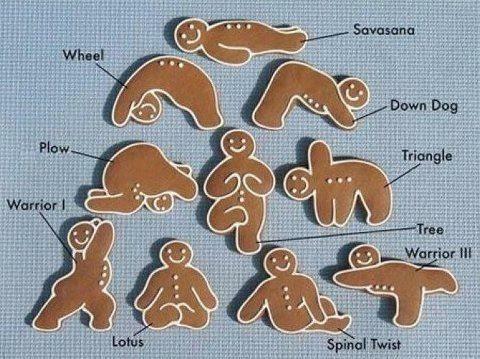 "Those gingerbread cookies are doing me in!" And that brings me to the subject of today's blog. 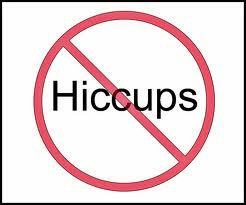 I would like to share with you my Very Official List of Ways to Keep Your Head from Spinning. It includes a number of activities that can be enjoyed either with family and friends or alone; some of the activities are calming and restful, others may wake you up and help you to feel more energetic...a few might even challenge your brain! Because our needs change day to day (and sometimes even minute to minute!) I suggest you read through the entire "Very official List of Ways to Keep Your Head from Spinning" before choosing an activity to engage in. 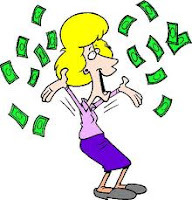 Notice how you are feeling: crazy with excitement? tired with low energy? nervous or overwhelmed? You don't need to figure out why you are feeling a particular way, and you certainly do not need to make any judgement on how you are feeling...as in: "I must be a total lazy bones loser because I am tired at two o'clock on a Saturday afternoon." Those kinds of statements are totally useless. Just notice how you are feeling, that's all. Then choose an activity that suites your mood and energy level. You can start with activities from my list, and then come up with fun ideas of your own. Have a blast!!! It's been said that open hands lead to an open heart, and when we hold our hands in Lotus Mudra our hearts feel open, like a Lotus flower unfurling in the sun. Try holding your hands close to the middle of your chest (called the heart center, in yoga) when you practice Lotus Mudra: think of something that makes you happy, or reflect upon that which you are thankful for....hold this thought close to your heart and notice how nice it feels: you might even find yourself smiling! You heard it here first, Youthful Yogis...Hakini Mudra is good for the brain! By touching all ten fingertips together we encourage co-operation between the right and left hemispheres of the brain, and that's a good thing! 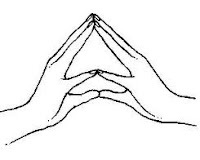 Hakini Mudra is said to be good for memory, mental clarity and--I almost forgot--finding things that are lost. So give Hakini Mudra a try... you may be surprised by what you remember! "I know Hakini Mudra is good for something... 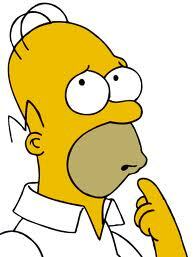 I just can't remember what!"" Taking on the challenge of a new yoga pose is exciting, and sometimes even a little scary. The good news is that trying a new yoga pose takes our minds off of every single other thing that we might be concerned about: homework, annoying older brothers, the possibility of having to clean our rooms...you get the gist. 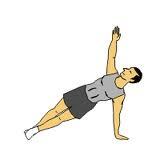 Side Plank is known as Vasisthasana in Sanskrit...I love that name! Mr. Muscles up there gives you a good look at how side plank strengthens your arms and tummy while opening the upper body. Vasisthasana also encourages focus and concentration, yay! Dancer Pose is known as Natarajasana in Sanskrit. 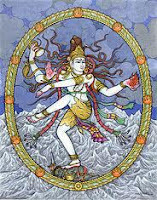 The pose is named after the Hindu deity Natararja, who represents a form of Lord Shiva, also called "Lord of the Dance." Dancer pose challenges our balance while stretching our shoulders, arms, chest and legs. Why not give it a try?! 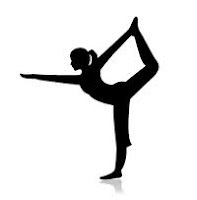 4) Email, call or text a friend; find out how they are, then tell them about the latest yoga pose you've been doing! In case you're wondering....this is called a telephone and in the old days people used them a lot! 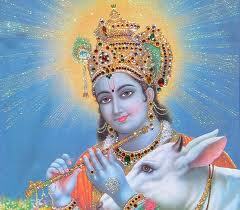 Krishna is always easy to recognize because of the color of his skin...it's blue! Lord Krishna is considered to be playful and loving, and these are qualities that we can all appreciate. He is said to have been raised in a family of cowherds and is often depicted with a flute and--you guessed it--a cow! Many stories surrounding Krishna take place when he was a baby. If you read these stories, you'll learn that Baby Krishna was quite mischievous....in fact, one time he got into some homemade butter and things got pretty messy! 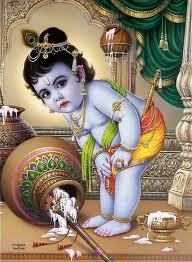 But people always forgave Baby Krishna, because he was so adorable and loving. Baby Krishna getting into the butter churn! 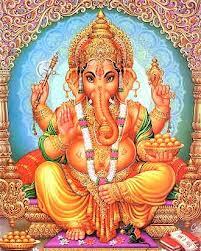 Another popular Hindu deity is Ganesha, who has the head of an elephant and the body of a human. Ganesha is said to be the "remover of obstacles" and many people believe he represents knowledge, wisdom and wealth. One thing is for sure...Ganesha is always depicted as having a nice, round belly! There is so much to enjoy about Hindu Mythology! I encourage you to find books, or go online, in order to explore the colorful stories from this very rich and ancient tradition. NEWSFLASH: You do not need to sit on the floor in order to practice yoga! Lots of wonderful poses can be done with the support of a chair. 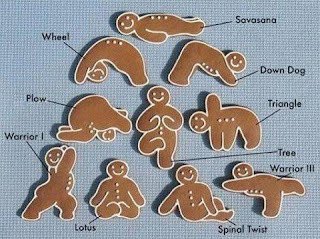 You can experiment with different poses on your own, or find a book or online resource to help learn more about chair yoga. Try it at work, in school, or while traveling... and definitely share chair yoga with the people you love! "I am so not bored right now!" Headstand, of course, is a challenging pose. If you have never done it before, it's best to try it first with an experienced instructor. If you've been on your feet for a while--shopping at the mall, hiking up a mountain, or moving like crazy at a Justin Bieber marathon dance party--legs up the wall will feel amazing! It's great for circulation; it soothes the nervous system and helps us to refresh and refuel after a busy day of work or play. Here is another very relaxing pose you can try at the end of the day. It's called "reclined bound angle pose." This guy is doing the pose with a block under his head, you might like to use a small pillow instead! Find a comfortable seated position. 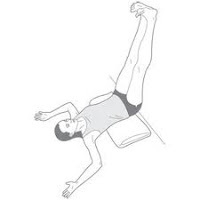 With your body relaxed and your head still, make a few big circles with your eyes. Move slowly! 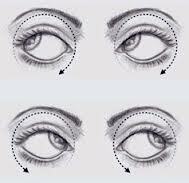 Do a few eye circles in one direction, and then switch and circle your eyes the other way. Close your eyes for a short rest when you are done. 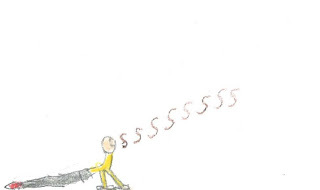 Sit comfortably and imagine a figure eight lying on it's side, just in front of your nose. Try to trace the shape of the eight with your gaze: moving the eyes up, over, down and around...do not move your head! Once you've done two or three figure eights in one direction, reverse and go the other way! Give your eyes a break! Rub your hands together and make them nice and warm. Next, cup your hands and bring them over your eyes, which should be closed. This is called "palming": it's super relaxing and helps us to feel refreshed after a busy day. 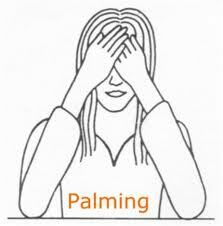 Palming is something I like to do every time I practice yoga for the eyes! Who doesn't like to make noise?! Humming, singing, whistling...it all feels great. 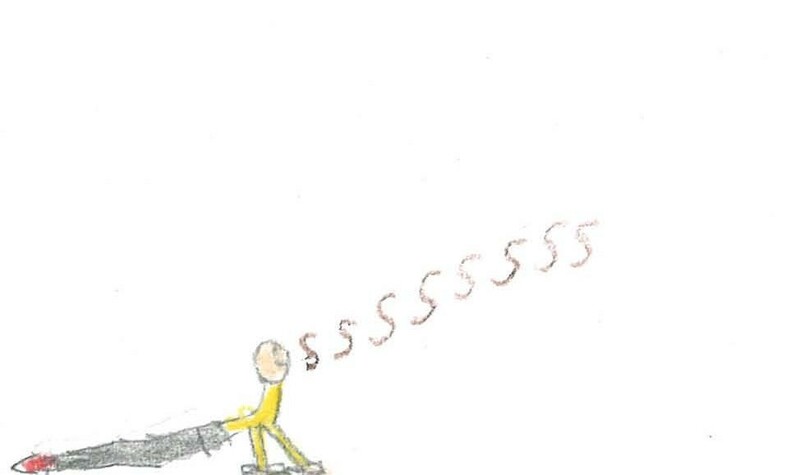 In yoga, sounds can be used in particular poses to support their affect on different areas of the body... remember how fun it is to "Hisssssss" in cobra pose?! 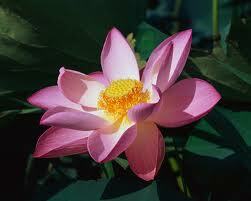 Another way that sound is used in yoga is through mantras. Mantras are sounds or words that have a special resonance. You can repeat a mantra quietly to yourself and it might help you to feel calm, protected, self confident or inspired. You can also say mantras out loud, which is called chanting. 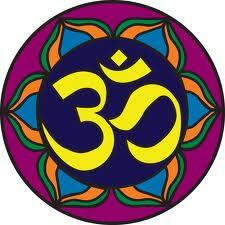 Om (or "AUM") is sometimes described as "the sound of cosmic vibration." You can repeat the word Om to yourself or chant it out loud, alone or with others. It is really very wonderful! The OM mantra helps us to feel a sense of connection to the world we live in, and that's a good thing! You can hear a recording of the OM mantra by clicking on the words "OM Chant" below. The link will take you to YouTube, so please ask an adult if that is OK.
Wow, time really flies when you're having fun...I could listen to the sound of OM all day! 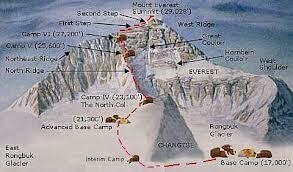 But it's time for me to wrap things up since my stomach is growling and I think it may even be getting dark outside!